In Kima Labs' Barcode Hero, users rack up points by scanning stuff they own, wish for or want to recommend. 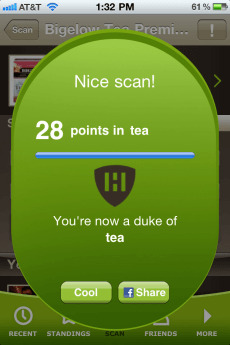 If you get 25 points, you become the "duke" of something. In this case, tea.